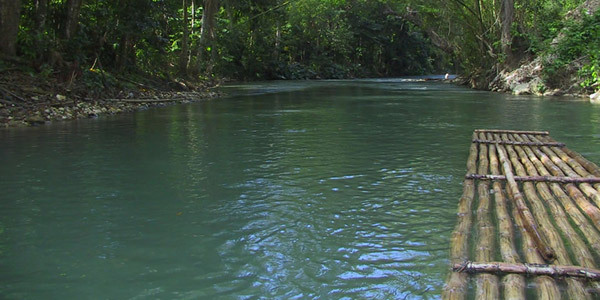 Martha Brae Bamboo Rafting Adventure Enjoy a scenic drive and bamboo rafting adventure on this Jamaican half day trip. The exotic Caribbean flora and fauna will have you amazed as you slowly drift downstream, listening to nature's gentle voice. Built for two, these bamboo rafts make for a romantic day out on your family vacation! Travel along the coastline to the historic market town of Falmouth before heading inland to the Great River. 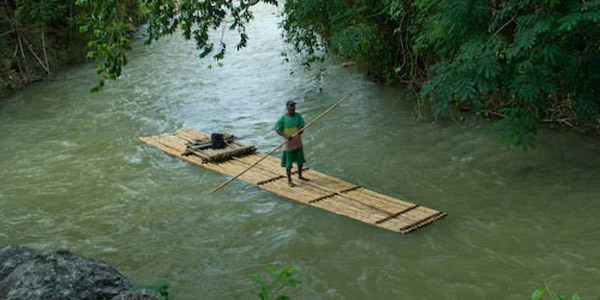 Once on the gently flowing river, you'll board your 30 ft (9 meter) bamboo raft, a unique ride poled by your experienced and well-informed captain. The expert raftsman will maneuver through the waters at a slow pace, allowing for breathtaking sights and endless photo opportunities.